Invermay PS is set in a unique, rural-residential setting just minutes from Ballarat, where your child is known and cared for by our entire school community. With an enrolment in 2018 of 70 students and located less than 10mins drive north of Ballarat City Centre, IPS has all of the advantages of a boutique small school, along with the facilities of a thriving provincial city just minutes away. Our school is amazingly well resourced, with modern, attractive learning spaces; a gymnasium, 'kids in the kitchen' cooking facility; art room; spacious grounds, court surfaces and numerous playgrounds. Our tech savvy staff and students enjoy 1:1 iPads for every student and laptops in their daily learning experiences. 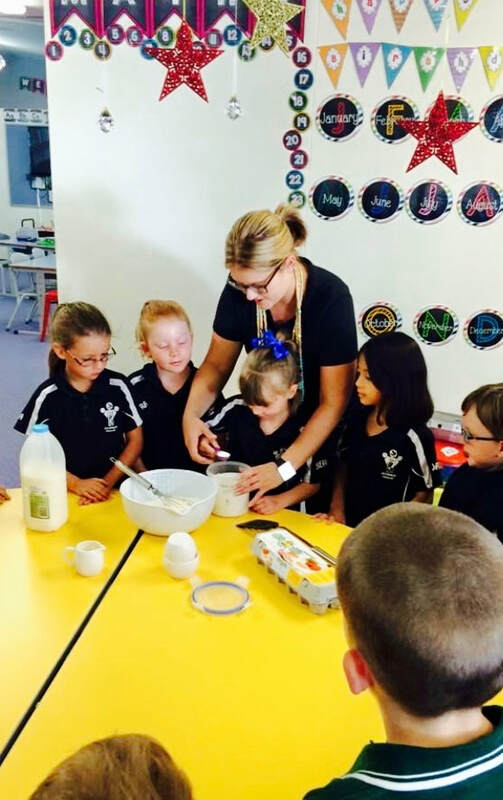 Invermay Primary is proud to be a supportive community where parents, staff and students work together to provide a well resourced, stimulating environment with excellent educational opportunities. Specialist guitar, ukelele, piano, tennis and golf instruction is offered weekly to our Gr 1-6 students, with some of the best credentialed coaches in Victoria leading our programs. We also enjoy a range of community camps and events. Competition is already heating up for 2018. Good luck to all houses. As a precautionary measure Invermay PS is one of many schools rated by both the CFA and Victorian Department of Education as being a 'Code Red' school. This means that we will be required to close on day that the CFA declare a Code Red fire danger rating in our region. In such an instance, our Principal will be notified one day in advance of such a forecast and will be required to inform all staff and families of our closure the following day. Click on the button below to view the movies made by our 2016 Gr3-6s. Please note that the movie 'LETTERS' is rated PG as it contains 'scary' content for younger children.